Late August is always an interesting time for new releases, as many produces are busy touring and beginning to wrap up their summer festival season. Yet, there continues to be interesting music from underground artists, and we’ve had a heavy techno focus as of late. Earlier in the year we introduced you to both Unrilis and Loose Records, championing releases from the likes of Luigi Madonna, Petter B, Hollen, Spektre, Uto Karem, and most recently, Wex 10. For Unrilis’ next release, the label shares three collaborative works of Hans Bouffmyhre & Kyle Geiger. Their ‘Heavy Handed’ EP sees the Brit and American teaming up for the second time after last year’s ‘Your Turn’ EP, released on Hans’ own label Sleaze. 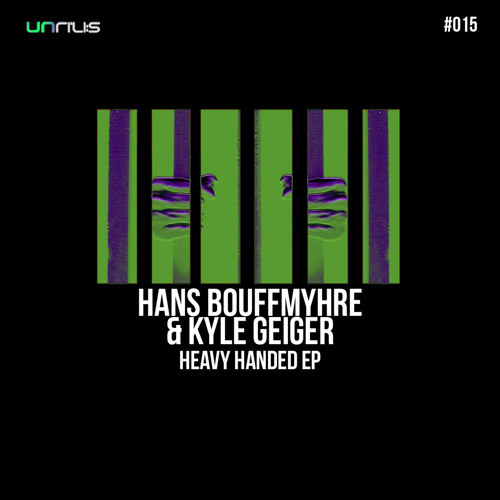 ‘Heavy Handed’ shares many similarities to the previous EP, but overall is a much mellower collection of four tracks – ‘Heavy Handed,’ ‘Dispatch,’ ‘Emote,’ and ‘Emote (Beat Tool Version).’ Yet, the release still showcases the intricate synth stabs, rolling basslines, and precise drumwork that has become a clear signature of the two. Our favorite track is ‘Emote,’ with its incredible build and rawness. The track perfectly reflects its name, and there’s something about its rhythm that immediately caught our attention on the first listen. We also loved listening to ‘Dispatch’ as its echoey synth, melodic build, and incredible break will make for a great club track. We sat down with Hans and Kyle to talk about ‘Heavy Handed.’ Check out our interview while you wait for the release! Out October 20 on Unrilis.